Want to know why Roothy would never buy a caravan (and what he'd do the grey-nomad-thing in instead), or how to tow or drive anything into the outback and back out again? Interested in touring West Oz, but don't want to spend a fortune doing it? Or maybe you'd like to know what it's like touring Australia in a 1927 Model-T motorhome. We've got all that and more in the next issue of ROAM, and there's still time to subscribe if you haven't already. 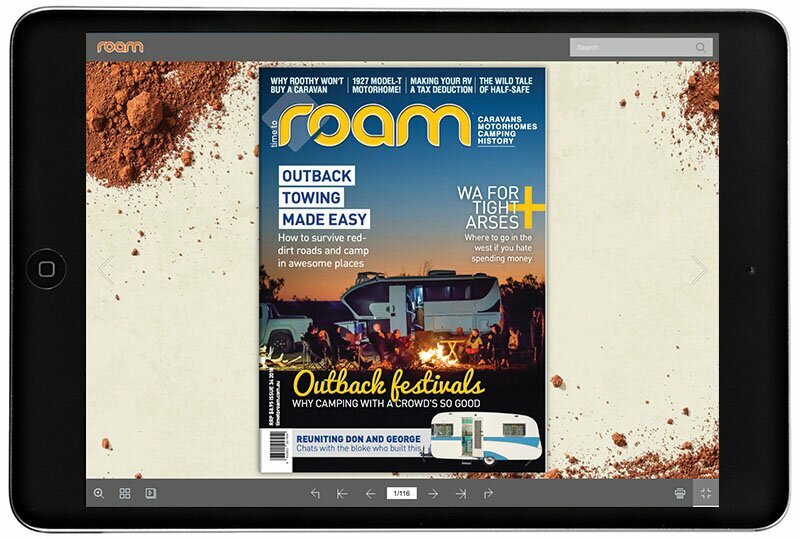 Grab a VIP Digital Subscription to read ROAM for the next year, and get access to all our back issues. It's only $25!